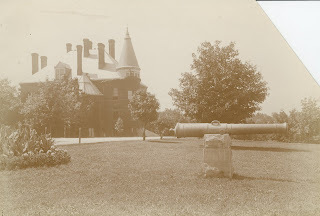 According to the February 18, 1927 issue of the Kentucky Kernel, the bronze cannon in front of the Main building was captured at Santiago, Cuba in the Spanish American War in 1898. It was presented to the Commonwealth of Kentucky by the War Department and later given to the city of Lexington by Governor Bradley in 1903. 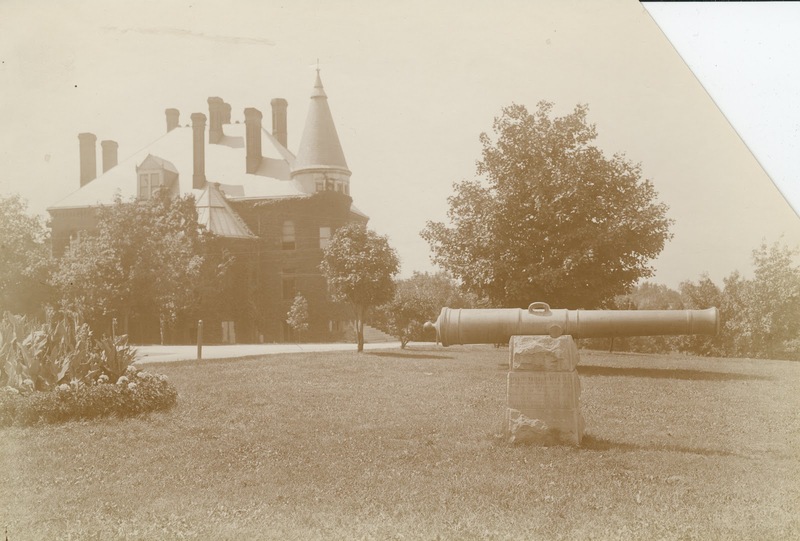 For many years after placing the cannon in front of the Main Building, men students of the university celebrated athletic victories and other events by firing the cannon. 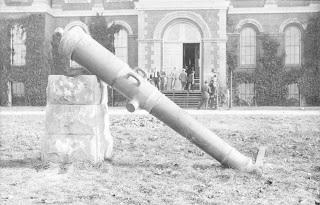 These ceremonies resulted several times in the breaking of windows in the Main building, so the university decreed that firing the cannon should be abolished. It was then filled with cement. The cannon, named Federalista, quickly became the backdrop for campus portraits, hazing activities, and pranks. 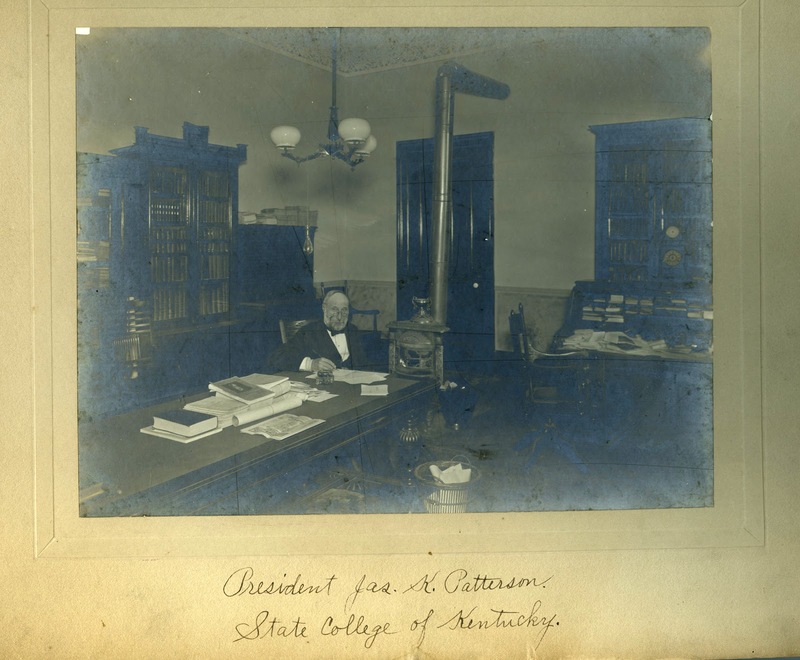 James Kennedy Patterson, served from 1869 to 1910 as president of the institutions that were to become the University of Kentucky. 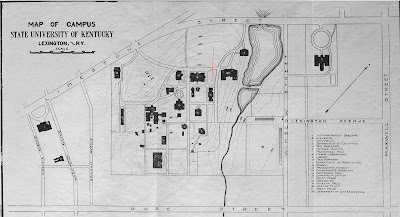 Through his vision, diplomatic skills, administrative acumen, and, at times, financial support, the fledgling Agricultural and Mechanical (A&M) College of Kentucky was transformed into an independent state university. Patterson was born in the parish of Gorbals in Glasgow, Scotland in 1833. 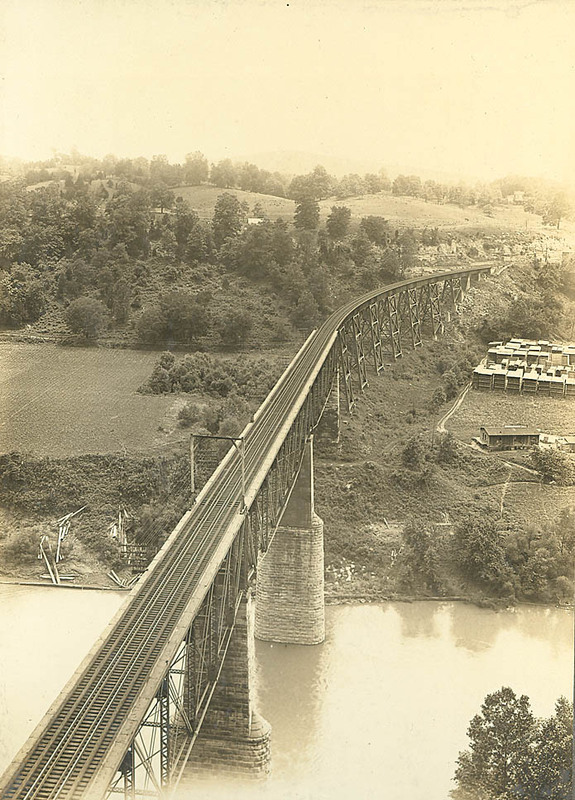 His family emigrated to the United States in 1842, when he was nine years of age, and settled near Madison, Indiana. 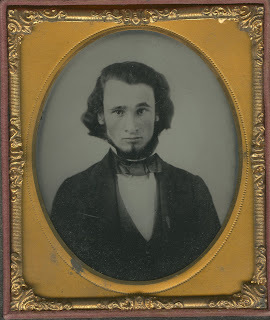 Patterson received his B.A and Master of Arts degrees from Hanover College (Indiana) in 1856 and 1859, respectively, and an honorary Ph.D. from the same institution in 1875. 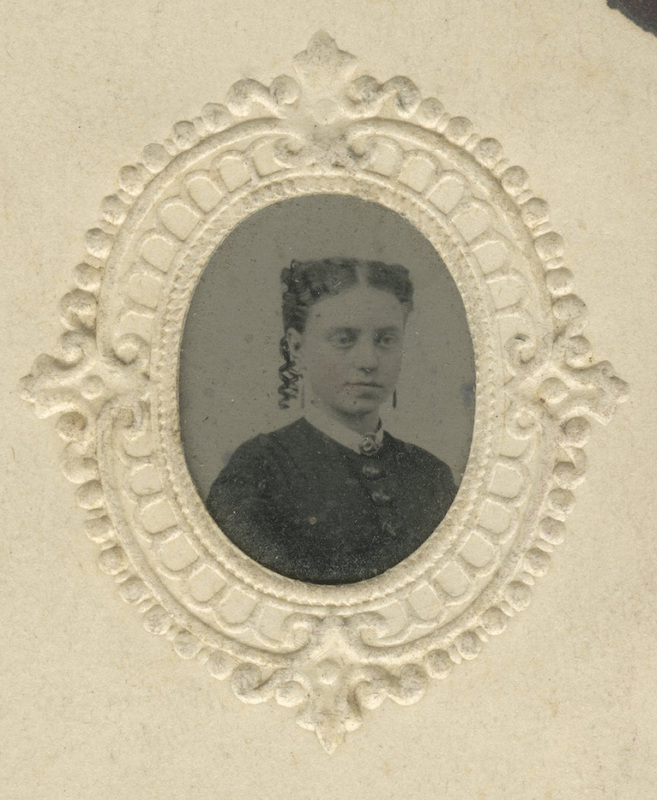 In 1859 he married Lucelia Wing, daughter of a wealthy New Bedford, Massachusetts whaler who had moved to Kentucky about 1800. The Pattersons had two children, Jeanie Rumsey, who died in infancy, and William Andrew, who passed away in 1895 at the age of 27. With the merger in 1865 of Transylvania College, Kentucky University (in Harrodsburg), and the newly state-chartered Agricultural and Mechanical College of Kentucky, Patterson was appointed professor of Latin and Civil History in this enlarged Kentucky University. At the same time he secured the chair of History and Metaphysics, which he occupied until 1910. 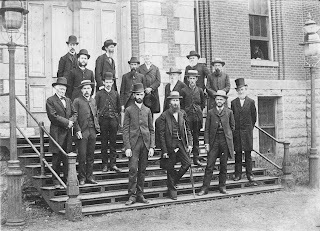 In 1869 Patterson was elected third Presiding Officer of the University's now constituent Agricultural and Mechanical College. After denominational and theological bickering and debilitating financial hardship experienced by the hybrid institution, the State Legislature in 1878 formally separated the A&M College from KU, and Patterson assumed the position of president of the independent school. Faculty of A&M in 1885, first row, left to right: W. D. Lambuth, Latin and Greek Languages, President James K. Patterson (with the crutch), James G. White, Mathematics, second row, left to right, John Shackleford, English, third row, left to right, Dr. Robert Peter, Chemistry, and son, Alfred M. Peter, Chemistry, fourth row, left to right, J. C. McClelland, Academy and Lieutenant L. E. Phelps, Commandant, fifth row, left to right, A. T. Parker, Microscopist, F. M. Helveti,French and German Languages, (with long white beard and glasses), Walter K. Patterson, Academy, sixth row, left to right, J. R. Potter, Pedgogy Education, (with heavy facial hair except for chin), A. T. Parker, Microscopist, seventh row, left to right, A. E. Menke, Agriculture Chemistry, A. R. Crandall, Natural History, Maurice Kirby, Philosophy, John H. Neville, Greek and Latin, with no hat, and in the window, James K. Patterson's son, William A. Patterson. 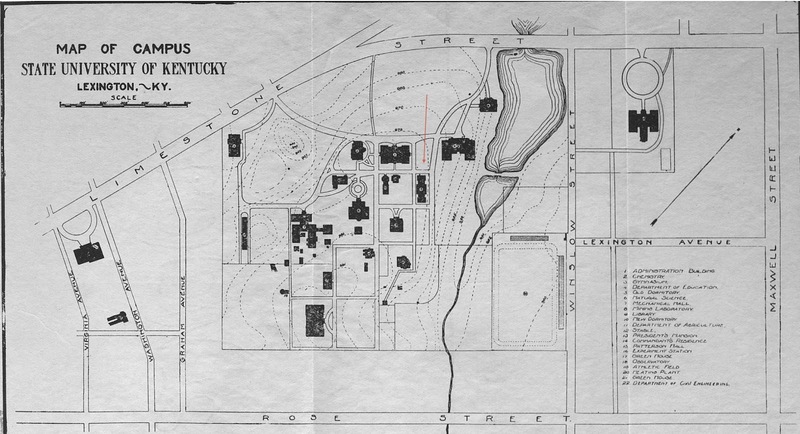 One of the A&M president's foremost administrative efforts, following the erection of the college's first buildings on its new Lexington Fairgrounds site, ultimately at his own expense, was an attempt to repair the fiscal damage incurred by the school during its preceding thirteen years of existence in linkage with Kentucky University. To this end he led the fight to convince the Kentucky General Assembly to enact legislation establishing a one-half-cent state property tax to raise desperately needed funds to support the struggling College. The climax of his crusade - an impassioned speech on the floor of the Senate - succeeded in sweeping away the formidable, organized opposition to the tax, and the measure was approved in 1882. The revenues from this new tax, however, proved insufficient to provide for the college's stability and continued growth. With the financial situation of the institution in question, Patterson considered other means of fundraising. When all other options had been exhausted he secured a personal loan to procure the needed money. Patterson proved a capable chief executive, administering the daily operations and affairs of the A&M College wisely and economically, although he was criticized by his detractors as unduly tyrannical and miserly, the latter particularly as it related to the salaries of employees and to physical expansion. 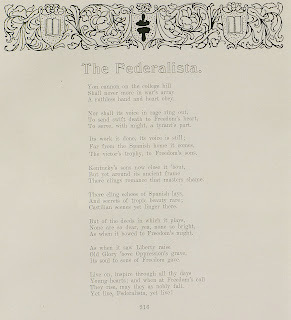 Many in the community and state likewise felt that the president was incorrectly removing the college from its moorings in agricultural and engineering instruction, as mandated by the Morrill Land Grant Act, and setting it on a course of becoming an essentially liberal arts institution. 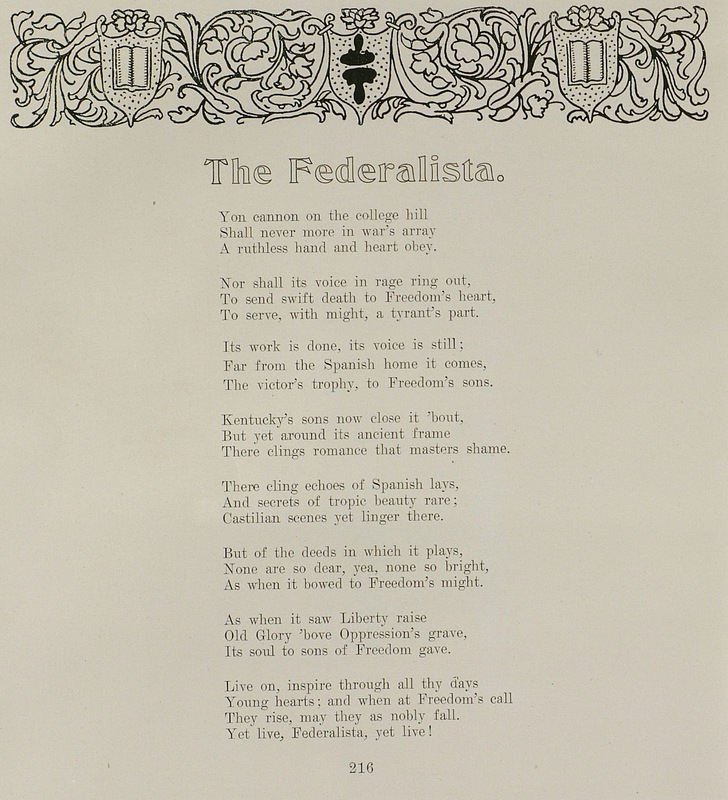 Increasing curricular diversification led to upgrade A&M's official academic classification, and Patterson and his Board of Trustees in 1908 successfully lobbied the General Assembly in support of changing the school's name to: "State University, Lexington, Kentucky". He continued as president for two more years, assisting in the transition of the institution to University status. In 1910 he retired from the presidency. The Board of Trustees unanimously approved his stipulated conditions which included: attendance at Board and faculty meetings; serving as adviser to the incoming President and as representative of the University on the state and national level; and continued residence in the campus house built for the President in 1882, which he occupied until his death in 1922. 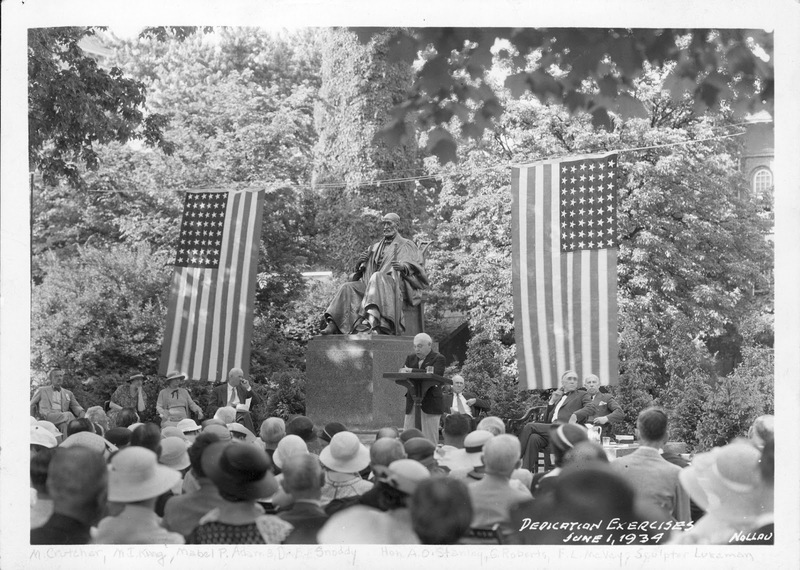 The life and legacy of Kentucky's "Pater Universitatis" are today honored in University buildings and a roadway which bear his name, and in the great seated statue of the founder, erected in 1934, which sits adjacent to the institution's Main Building and astride the campus he built and nurtured. 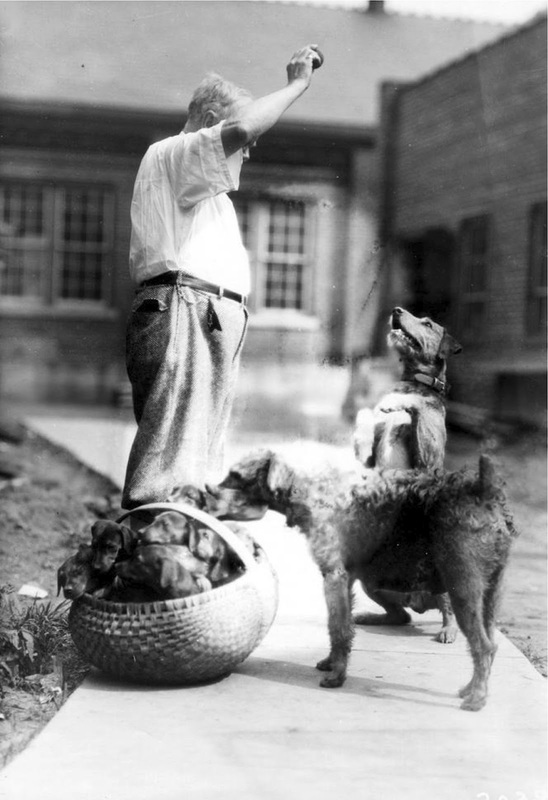 Jerry was an English Airedale terrier who belonged to Dean F. Paul Anderson. F. Paul Anderson was dean of mechanical engineering from 1892-1918 and dean of engineering from 1918-1934. According to the April 7, 1922 Kentucky Kernel, Jerry was distinguished for his rare intellectual attainments and loyalty. The ordinary conversation was almost entirely understood by Jerry. His whole being responds to his master's every word and he missed little that any one else said. On April 3, 1922, when Jerry heard his master's voice broadcast from radio station KDKA, at Pittsburgh Jerry responded joyously. 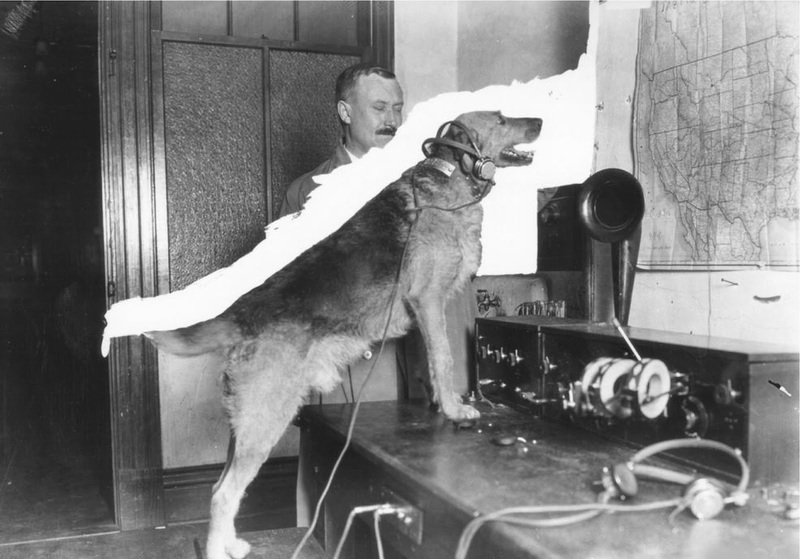 Dean Anderson concluded his address entitled, "Engineering and Happiness," with a message to his dog. It follows: "In a far away town, a faithful Airedale terrier, who can recognize his master's voice over the telephone, is listening in tonight, with the college boys who have made a wireless of unusual quality. Here's to you, Jerry, be a good dog, and I will return to you. There is nothing in all the world that can take your place in my affections. Jerry! Jerry! Jerry! Good night." The sundial can be seen near the middle of the photograph. Mechanical Hall is behind. Jerry was a fixture on the early UK campus and students enjoyed his presence. 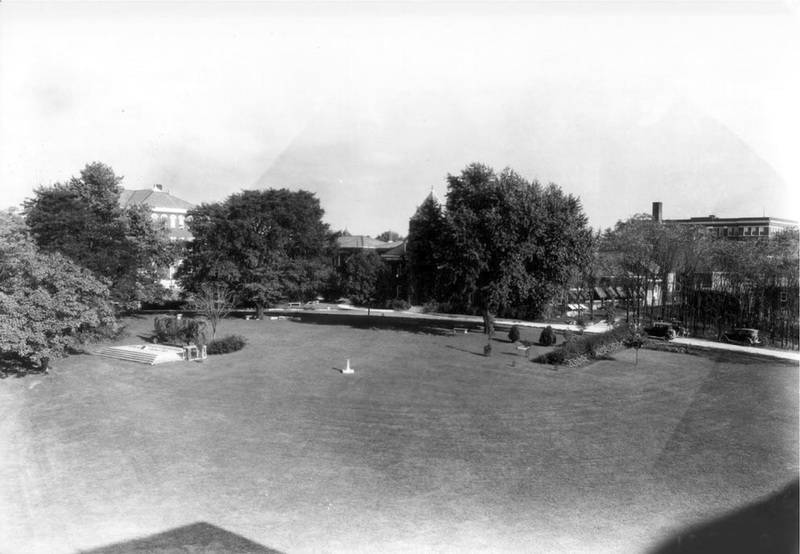 When Jerry passed away in 1930, Dean Anderson buried him next to a sundial honoring the dog near Mechanical Hall. 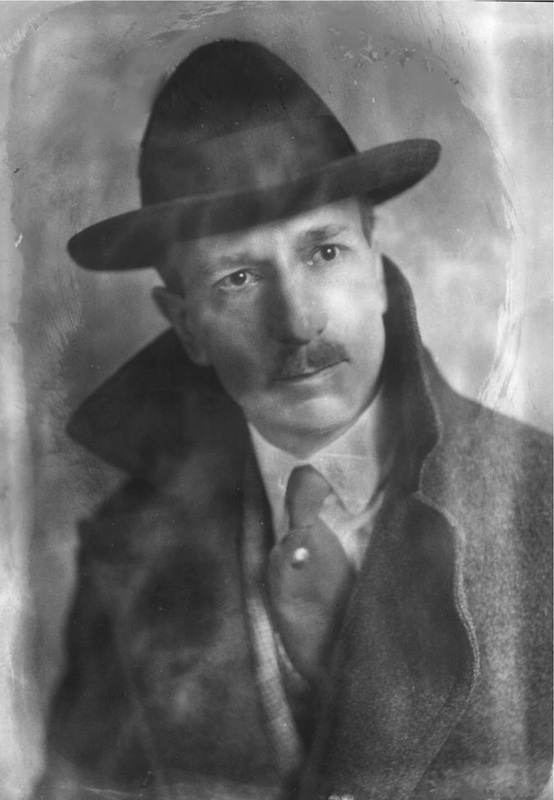 Louis Edward Nollau was born in Quincy, Illinois on January 15, 1883. 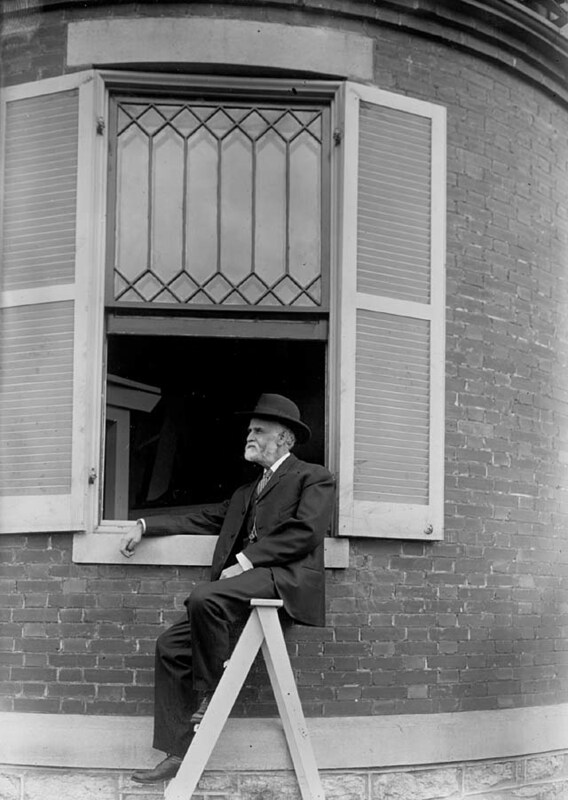 His father, a minister of the Evangelical Reformed Church, moved the family around the Midwest and settled in Louisville, Kentucky. After graduating from DuPont Manual High School in Louisville, Louis Nollau entered the University of Kentucky and received a Bachelor of Science in Mechanical Engineering. He began teaching immediately, accepting an appointment of Instructor in the Wood Shop. Within four years he became Assistant Professor of Mechanical Drawing. Later, he received the degree of Mechanical Engineer. From July 1919 to July 1934, Professor Nollau served as Head of the Department of Mechanical Drawing. 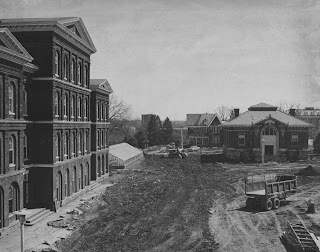 In 1934, the College of Engineering was reorganized and he became a Professor of Engineering Drawing, in which capacity he served until his death. Photography was Professor Nollau’s lifelong hobby. By the time he graduated from college his work was recognized as professional in quality. He served for many years as official photographer of the Southern Railway System, working full time in summer months and performing occasional special assignments at other times. His service to the University of Kentucky in the capacity of photographer extended over forty two years. He did photographic work for every college on the campus. His photographic services to the Agricultural Experiment Station, to the Department of Athletics, and to the College of Engineering were particularly extensive. He passed away on April 19, 1955; these notes were taken from the Board of Trustees Minutes. The University Archives holds thousands of photographs taken by Professor Nollau. 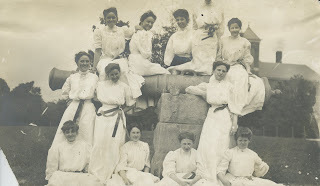 Please visit http://exploreuk.uky.edu for images and contact uk150@uky.edu for more information. “Each room must be provided by the occupants thereof with neat and comfortable bed and bedding, table, washstand, looking glass, chairs, bowl and pitcher, water and slop buckets. 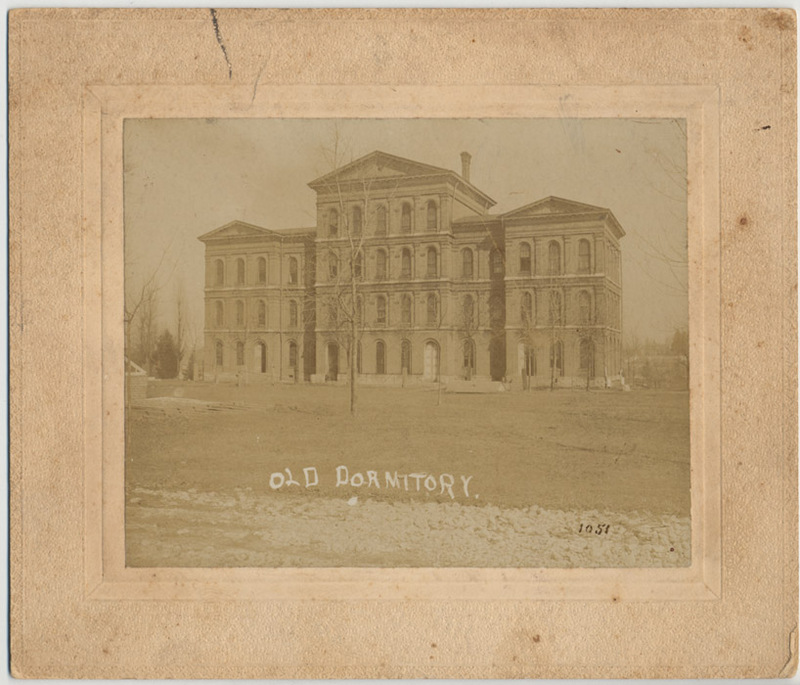 The furniture bought at the outset can be sold at the end of the collegiate year or retained for further use, at the option of the owner.” The dormitory had 90 rooms. 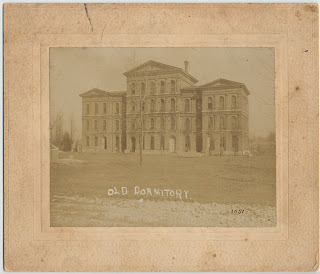 In the September 10, 1919 Board of Trustees minutes the Executive Committee (on the suggestion of President Frank L. McVey), recommended the building formerly designated as the Old Dormitory be named White Hall in honor of Dr. James G. White, professor of mathematics and at one time acting president of the university. The old White Hall dormitory was torn down in 1967 to make room for two new buildings - the Whitehall Classroom Building and the Patterson Office Tower. Bricks from the old White Hall were used in the plaza of the new Classroom Building. The 1908 map shown below depicts the location of the original White Hall and is indicated with a red arrow. The Main Building is to the left of White Hall but closest to Limestone. You may click on the map to enlarge it.